Assassin's Creed video games are steeped in history, but how educational are they? 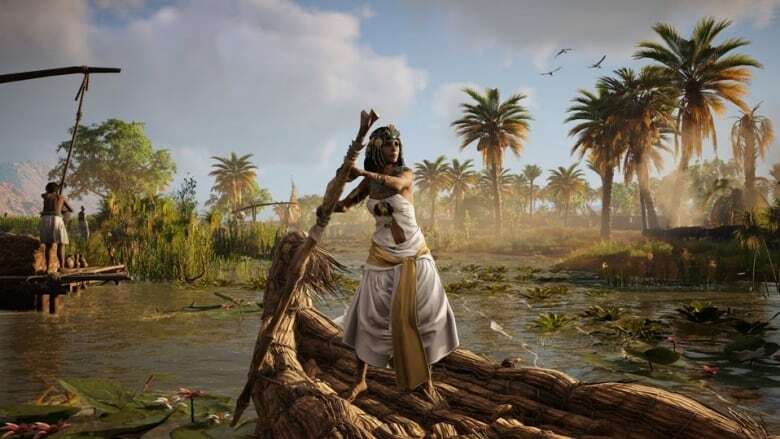 Ubisoft's virtual recreation of ancient Egypt caught the eye of teachers, but adapting the game for the classroom also has a marketing upside. 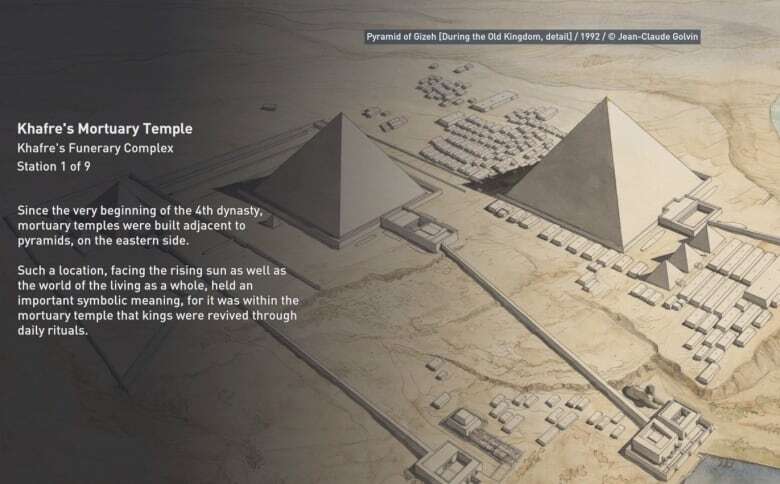 It's not quite time travel, but Ubisoft's recreation of ancient Egypt in Assassin's Creed: Origins Discovery Tour comes pretty close. You can almost feel the sand beneath your feet as you walk along the coast of the Nile Delta to the walled city of Alexandria. A bright golden line guides you to the city's entrance, where the narrator's voice pipes in with an anecdote about how the city's location was inspired by a verse from Homer's Odyssey: "There is, in front of Egypt, in the sea with many swells, an island called Pharos." That led Alexander the Great to found this city at the western end of the Nile Delta, the narrator explains. The environment reflects Assassin's Creed's fascination with history — in previous titles, the video game franchise immersed players in Imperial China, the French Revolution and Renaissance Italy, to name a few. 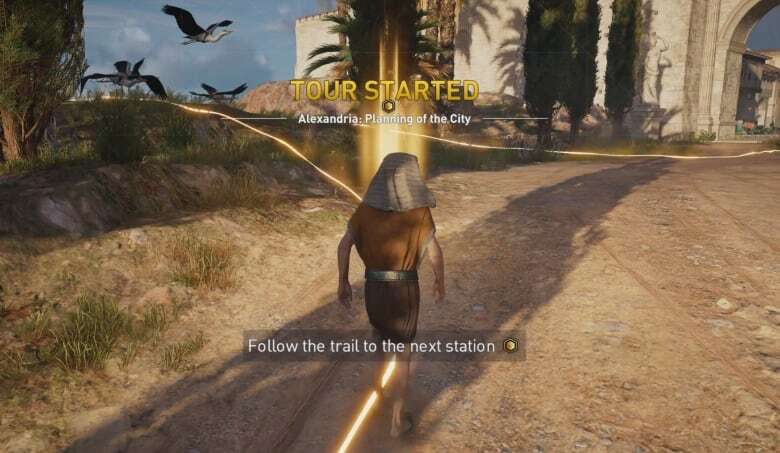 That attention to detail caught the attention of teachers, which is why Ubisoft responded with Discovery Tour, a special, school-friendly update to the Egypt version of Assassin's Creed Origins that strips away the mature content and violence and swaps in audio-guided tours and reference stations. "We kept receiving testimonies from teachers that were saying ... 'I'd like to use it in the classroom, but it's not easy,'" said Jean Guesdon, the creative director behind Origins. "So they would record some videos at home, editing them to make sure the content was safe for school." With Discovery Tour, teachers no longer have to find a workaround. "They can use this tour, even bring their console into the classroom if they want to, without any danger," Guesdon said. It's a clever move, said one gaming expert, but there are doubts about how effective any video game — especially a series saturated in bloody combat — can be at teaching. 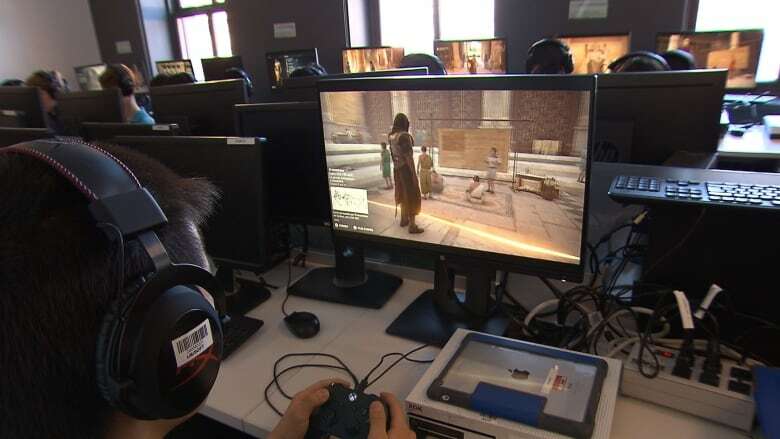 "It's good marketing, because it shows that video games can be educational," said Mia Consalvo, a professor at Concordia University and the Canada Research Chair in Game Studies and Design. "There is still that sense among people that games are a problem," said Consalvo, referring to concerns about violence. For a game publisher, creating a teaching tool such as this has benefits "not just from a sales perspective," but in helping a broader audience view video games as "a part of culture." Released in February, the special educational version of Origins allows players to explore Cleopatra's Egypt freely or through an audio-guided tour, where they encounter pop-up lessons and more than 700 reference pictures taken from museums and libraries. It's the product of three and a half years of careful research, development and input from historians and Egyptologists. Guesdon said that when he was younger, the closest thing to that level of immersion was a comic book. "We [have] the opportunity to be fully immersed, in full control in a 3D world. And it really adds to the understanding of the time period," he said. 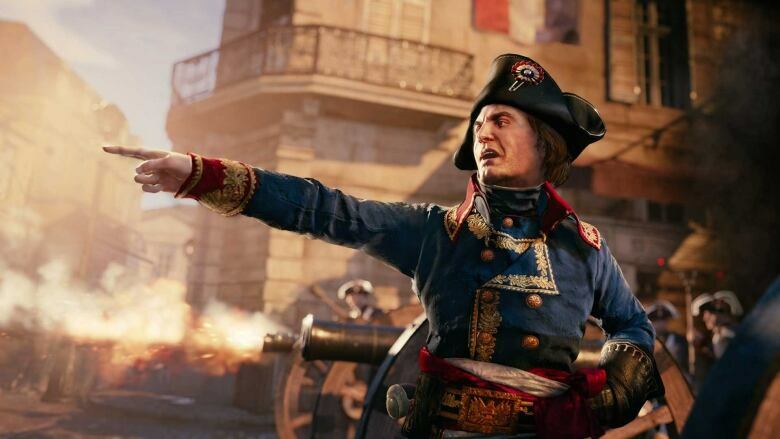 When Université de Montréal history didactics professor Marc André Éthier heard about Ubisoft's latest venture, he asked developers if he could put it to the test. 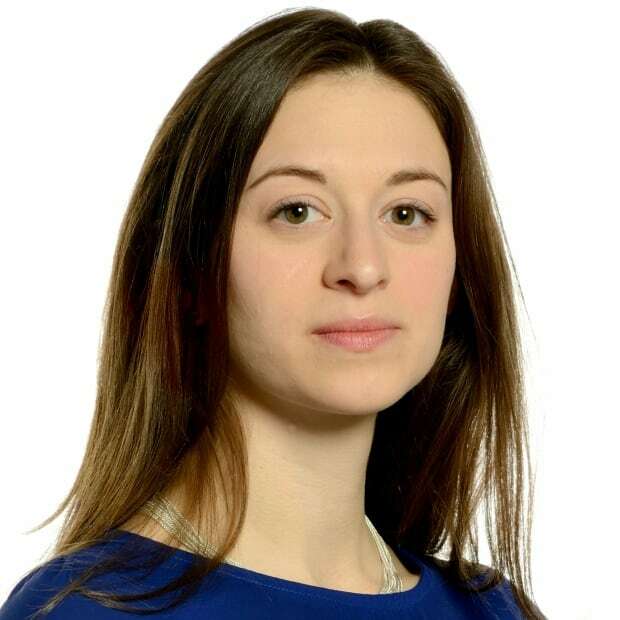 Éthier conducted a study involving 330 high school students across nine Montreal-area schools. He separated children into two groups — one sat through a traditional lecture on ancient Egypt, and the other played the Discovery Tour. The results: Students taught in the conventional way tested better for knowledge retention, with an average score of 53 per cent, while those who played the game scored 44 per cent. "Many times, we are very amazed by new technologies and we think it`s the solution to everything, but it's not," Éthier said. "Many times, we put too much money and too much time [into] things that are very complex and add nothing to the teaching." Ruo-Nig Wang, a student at College Jean-de-Brébeuf in Montreal, was one of the children who participated. She said she prefers the human connection you get with a teacher. "You can ask them questions, and they can re-explain things. They can give you more details," she said. Wang said there's no substitution for that interaction, but acknowledged that a video game can transport players to a different world. She pointed to how Discovery Tour recreates the sights and sounds of Cleopatra's time, as it was meant to be. "I like the idea of being able to walk everywhere virtually. Nowadays, the architecture is in ruins, or is no longer there. But in the game, you can reconstruct them, and visit them." Éthier echoed that idea, and said he thinks the ideal use for games like Discovery Tour is to help students experience concepts that can't easily be explained in the pages of a textbook. "It could be better with more complex things like the mummification," he said. "In the tour, it's very clear, we see every step. So it can help." Even though students who sat through the lecture tested best, Éthier said the children who played the game still retained more knowledge than he expected, suggesting that a game does have potential as a teaching aid. "It can be another tool for the teacher, one more [thing] in his tool box, but not the only thing," he said. Guesdon said that's exactly how Ubisoft intended Discovery Tour. "We're not here to tell you we will replace [the] teacher. This has never been the ambition," he said. "We're really hoping that all gamers around the world and non-gamers will find [Discovery Tour] interesting and see that the power of video games can be used to bring actually more than only entertainment."